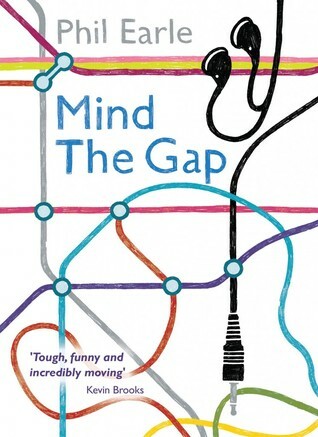 Mind the gap is a short read from Barrington Stoke. Barrington Stoke publish dyslexic friendly reads written by huge names in UKYA. I love that they are giving young adults who find reading difficult access to books which are written by these brilliant authors which are proper YA novels. I've heard no end of awful stories of teenagers who find reading difficult being given books for much younger children which is frankly just patronising and is going to turn reluctant reading completely off reading fast. I've been a huge fan of Phil's work since I read his debut back in 2011. He writes YA wonderfully. It's realistic, thoughtful and full of heart and this wonderful little book is no exception. 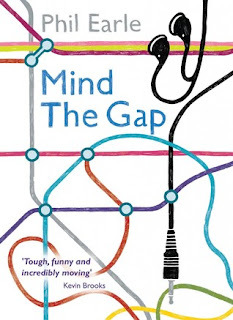 Mind the Gap is the story of the friendship between Mikey and his best friend. Mikey recently lost his father and is trying to deal with all those emotions without any real idea of how to do it. The story captures the raw emotions Mikey is feeling but cannot voice and the friendship between the two boys is really touching. First class UKYA which is thoughtful and poignant. I enjoyed it immensely.